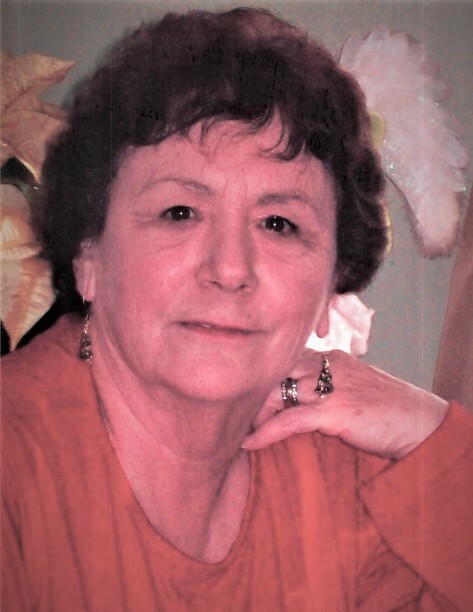 Obituary for Helena G. (Nelson) Bland | Varnum Funeral Home, Inc.
West Brookfield - Helena G. (Nelson) Bland, 77, of West Brookfield died on Wednesday, April 3, 2019 at St. Vincent Hospital in Worcester. She leaves her loving husband of 47 years, Philip E. Bland of West Brookfield, her daughter Nicole Bland of Pelham and her granddaughter, Renee O'Brien. Helena was predeceased by her first husband, Army Captain Rodney Rieger, who was awarded a bronze star medal before his death in Vietnam in 1967. She was born in Schenectady, New York, daughter of the late Authur and Lulo Mae Nelson. Helena's father was awarded a purple heart medal during World War I and later went on to serve in the Schenectady NYPD. Helena was a homemaker and enjoyed taking care of her family. She loved living on the lake and entertaining at her home. Helena was an avid reader, loved crossword puzzles, tuned into Jeopardy each night and was everyone’s first pick to play Trivial Pursuit. After the birth of her granddaughter Renee, the family vacationed annually at the Union Bluff hotel in Maine. Helena once owned a bookstore in Enid, Oklahoma, appropriately named Helena’s Bookstore. She volunteered for years at the West Brookfield Public library and the Trinity food pantry. She was also a member of a century old women’s study group called The Tuesday Club. The 12 members met once a month and each member had the opportunity to host and present a topic or theme. Saying that Helena loved her Christmas Tree and its ornaments was an understatement. The thoughtfully decorated tree went up on Black Friday every year and reluctantly came down every February. She adored her loving family, wonderful friends, her cats and Jimmy Buffet - she proudly called herself a Parrot Head. A Funeral Service for Helena will be held on Friday, April 12, 2019 at 11:00AM in the Trinity Episcopal Church, 17 Park Street, Ware. Calling hours will be held Thursday, April 11, 2019, from 5:00 to 7:00PM in the Varnum Funeral Home, Inc., in West Brookfield. Burial will be in the spring in Pine Grove Cemetery in West Brookfield. In lieu of flowers, memorial donations can be sent to Socks for Siberia, 122 Long Hill Rd. Brookfield MA 01506.